Today (Friday 20 May) is International Clinical Trials Day and the Sir Bobby Robson Foundation is marking the occasion by announcing a new research role, funded by our wonderful supporters. A new patient treatment and research role at the Northern Centre for Cancer Care (NCCC), Newcastle, has been created thanks to funding from the Sir Bobby Robson Foundation. Mr Neil Richmond, 47 from Hartlepool, has been appointed consultant clinical scientist at the NCCC, which treats cancer patients from across the North East and Cumbria. He is helping optimise radiotherapy treatment for patients, leading treatment planning development and using innovative new software purchased by the Newcastle upon Tyne NHS Foundation Trust. This new role will also mean the Centre can join and lead clinical trials in radiotherapy research, meaning it continues to play its role in finding better treatments for cancer patients. Mr Richmond works closely with the team operating the Stereotactic Radiotherapy Unit at the NCCC, which opened in 2014 thanks to a special collaboration between the Newcastle upon Tyne Hospitals NHS Foundation Trust and local hospital charities. 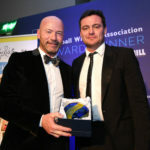 The Sir Bobby Robson Foundation was the majority charitable contributor and made its largest contribution to date, £850,000, to help fund the unit, which uses detailed scans and computerised 4D treatment planning to deliver radiation with tremendous accuracy. Mr Richmond says: “Stereotactic radiotherapy is the major development in radiotherapy at present. It will define future treatments, so what we’re doing now will leave a legacy for the next generation. “Working with this technology and the first class medical team here is what first attracted me to this role. Mr Richmond is part of the team helping maximise use of stereotactic ablative body therapy (SABR) for tumours within the body, and stereotactic radiosurgery (SRS) for treating tumours within the brain. 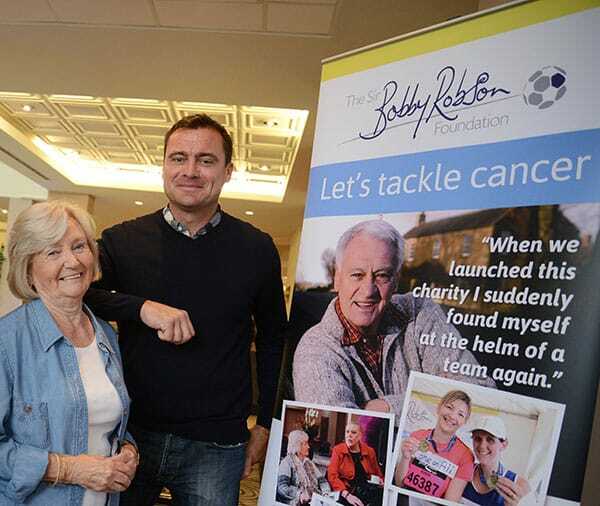 On behalf of the Sir Bobby Robson Foundation, Lady Elsie says: “We have a marvellous board of trustees and it’s their medical knowledge that steers us. Every penny spent, every decision taken is discussed at great length to ensure it’s the best use of the money raised for us. And funding this post was no different. 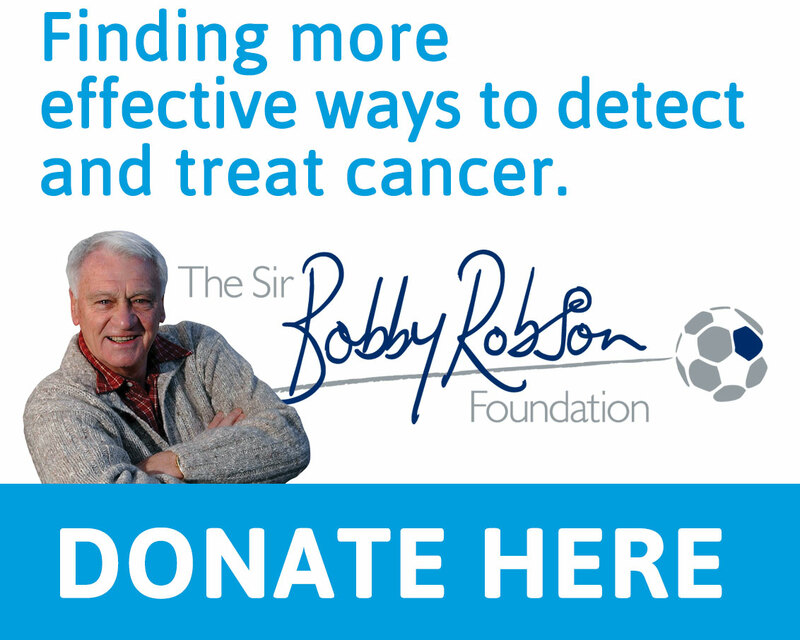 The Sir Bobby Robson Foundation is helping continue the work which began when Sir Bobby launched his charity in 2008 and is helping find more effective ways to detect and treat cancer. The charity funds projects that directly benefit patients from across the North East and Cumbria, and which contribute significantly to international research into cancer. We have raised over £9 million and are intrinsically linked with, and a fund within, the Newcastle upon Tyne Hospitals NHS Charity. The substantial support we receive from this local NHS charity means we can significantly limit administrative costs. We do not employ professional fund-raisers to pro-actively raise money and co-ordinate volunteers, have no fund-raising targets and rely completely on third party, volunteer fund-raisers and the incredible generosity of the general public. Thank you all. Sir Bobby would be very proud.